In recent times the buildup to different major sporting events has become a major global event. Events such as these not only serve as traditions, but also help raise the profile of the sporting occasion. For example, for The Olympics, the Olympic Torch is ignited several months before the opening ceremony of the Olympic Games at the site of the ancient Olympics in Olympia. Then after a few small functions coupled with a final ceremony in the Panathenaic Stadium in Athens, the torch starts its transfer to the host city by going through various selected countries and cities. And ultimately, The Olympic Torch Relay ends on the day of the opening ceremony in the central stadium of the Games. Since 2006 another such major event – the World Cup Trophy Tour, is organised by FIFA, the governing body for football, in collaboration with Coca Cola. The FIFA World Cup Trophy Tour by Coca-Cola is a rare opportunity for fans to see the original trophy up close and have their experience captured with a photograph. It’s an exciting and exclusive experience since the Trophy is otherwise only displayed at the FIFA World Football Museum in Zurich, during the FIFA World Cup Final Draw and at the final match of every FIFA World Cup. In September 2017, the FIFA World Cup Trophy Tour by Coca-Cola kicked off in Moscow, Russia. 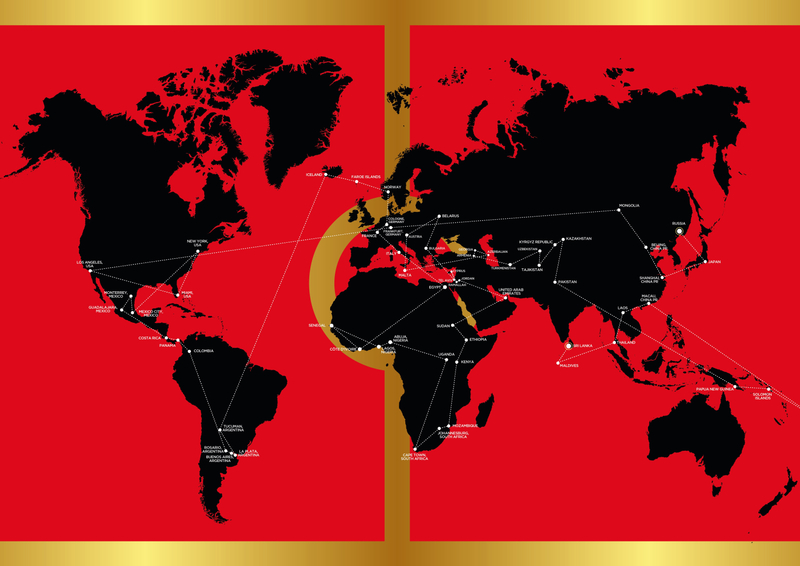 The tour stayed in Russia until December before going global to cover over 50 countries across six continents. Fortunately for football lovers in Pakistan, Pakistan was included in the 2018 tour. The FIFA World Cup Trophy arrived in Lahore in the morning of 3rd February, where football’s most coveted prize was unveiled. The Trophy was then taken to a hotel in the afternoon where it was showcased during an event attended by a delegation of key stakeholders, government officials, media, the national men’s and women’s football teams, sports bloggers and influencers. 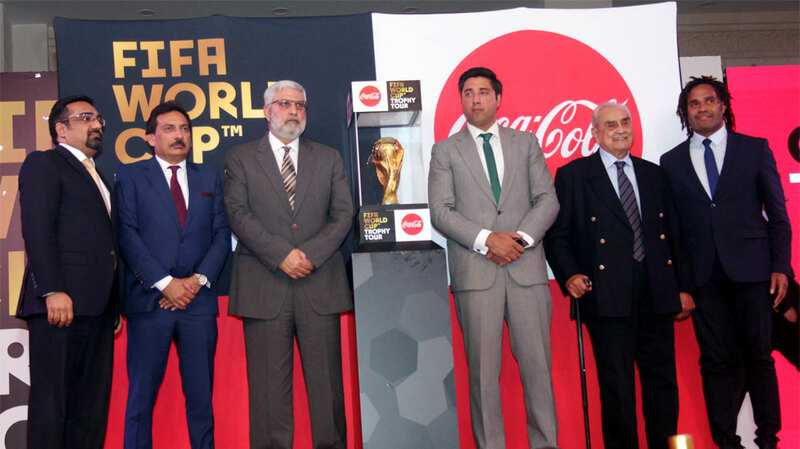 The CokeFest, held at Lake City Lahore later in the day, was attended by thousands of football enthusiasts, who were given the unique opportunity of getting up close and personal with the legendary Trophy. It was a memorable experience for all involved and football fans will be hoping that this will lead to the start of serious development of the sport in the country. After the Pakistan stopover, on 4th February – The FIFA World Cup Trophy, proceeded to Almaty, Kazakhstan. The trophy will now be showcased in 55 other nations before it returns to the host country in May just ahead of the 2018 FIFA World Cup Russia.